Beskrivning: Straight out of high school, Dwight Howard made it known around the NBA that he was going to be one of the most dominant big men in the league. 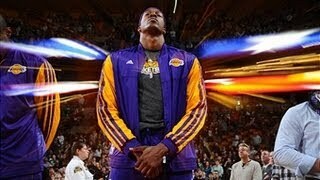 A video highlight mix of the best plays of Dwight Howard's career before he was traded to the Lakers. Straight out of high school, Dwight Howard made it known around the NBA that he was going to be one of the most dominant big men in the league.